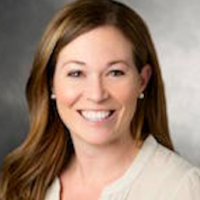 Dr. Cori Poffenberger is Director of Faculty Development and Wellness for the Department of Emergency Medicine at Stanford. She obtained her undergraduate degree from Stanford, then moved to Nashville for medical school at Vanderbilt. She went on to complete her Emergency Medicine residency as well as her Ultrasound fellowship at Harbor-UCLA. She stayed at Harbor as faculty and Medical Director for 4 years before moving to Stanford. Dr. Poffenberger’s professional interests include faculty development, physician wellness, and diversity and inclusion, specifically related to disability. She is interested in developing more comprehensive education around disability for medical students, residents, and physicians, and how physician training around disability can impact patient care.